Are you shopping for a new midsize luxury sedan near New Orleans? Then look no further than the new 2019 Acura TLX. 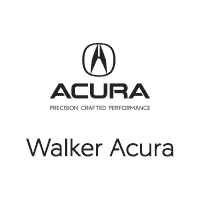 With a starting MSRP of $33,000 MSRP, this popular model comes in four astounding packages or trim levels: Acura TLX Standard Package, Acura TLX Technology Package, Acura TLX A-Spec® Package, and Acura TLX Advance Package. What Comes With the New Acura TLX? Slidell customers searching for a reliable and impressive performance will surely enjoy the model’s strong engine options which include the standard 2.4L inline-4 that comes with the first three packages. The Acura TLX V6 Advance Package is standard when it comes to the TLX V6 option that runs on a 3.5L V6 engine and is available for the other packages. The 2019 TLX also features front-wheel drive with the Precision All-Wheel Steer™ (P-AWS®) system that comes with the standard engine, and the Super Handling All-Wheel Drive™ (SH-AWD®) which is available with the V6 engine. Your choice of leatherette-trimmed or Milano leather-trimmed seats. Whether it’s exciting performance or luxe, high-tech interior, whatever Covington drivers are looking for, they can’t go wrong with the new 2019 Acura TLX. Contact us to learn more about our finance and service teams who are ready to help you, or to set up your test drive today!